Discover out-of-the-way places like Room Escape Games and Memorial and Museum Sachsenhausen. Change things up with these side-trips from Berlin: Potsdam (Sanssouci Park, Potsdam's Gardens, & more). 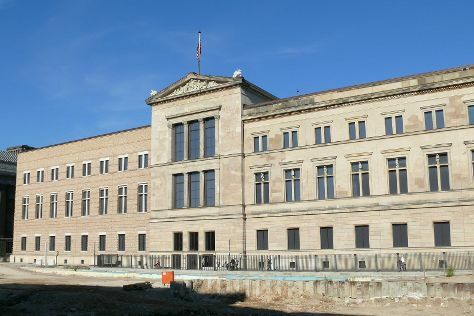 There's much more to do: see the interesting displays at Neues Museum, steep yourself in history at Gedenkstaette Berlin-Hohenschoenhausen, get engrossed in the history at Kaiser Wilhelm Memorial Church, and don't miss a visit to German Historical Museum. To see maps, other places to visit, reviews, and more tourist information, read our Berlin trip itinerary planning tool . If you are flying in from Belgium, the closest major airports are Berlin-Tegel Airport and Berlin-Schönefeld Airport. Cap off your sightseeing on the 16th (Mon) early enough to travel back home.